I remember when my friend Selvey went to a drier climate for a family vacation, she said what she missed the most was the moisture in the air from our sunshine state home. It is one of those moments that had absolutely no importance in the big picture of our young lives but 10 years later I find myself looking back at that moment now that we live in Chicago. 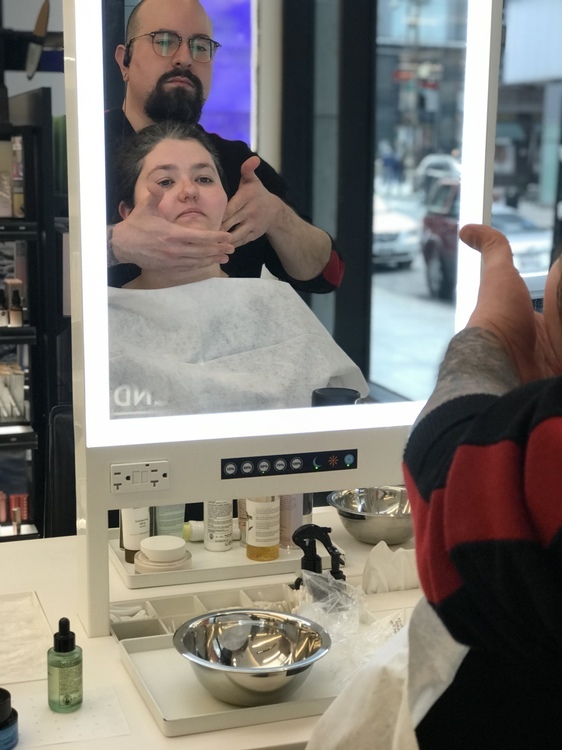 So when I found myself with facing negative windchills that had my skin dried, cracked, and needing a LOT of TLC I knew I needed to winterize my skincare regime stat. And I knew there was no better place to go than Sephora to get the perfect winter skincare products. When I walked in to the Michigan Ave store, I had every intention of going through my laundry list of items I had written down. I had already spent sometime on the website so I went in with a mission. 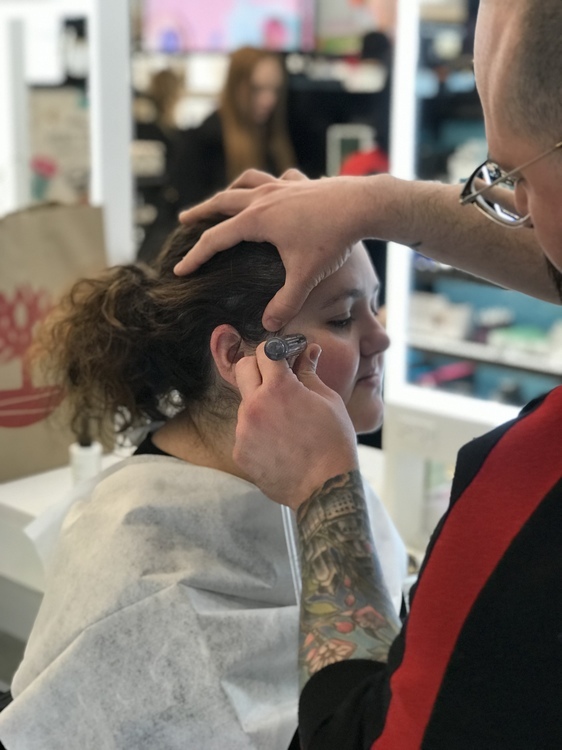 It wasn’t until one of the lovely employees told me that they offered in-store facials that my game plan completely changed. 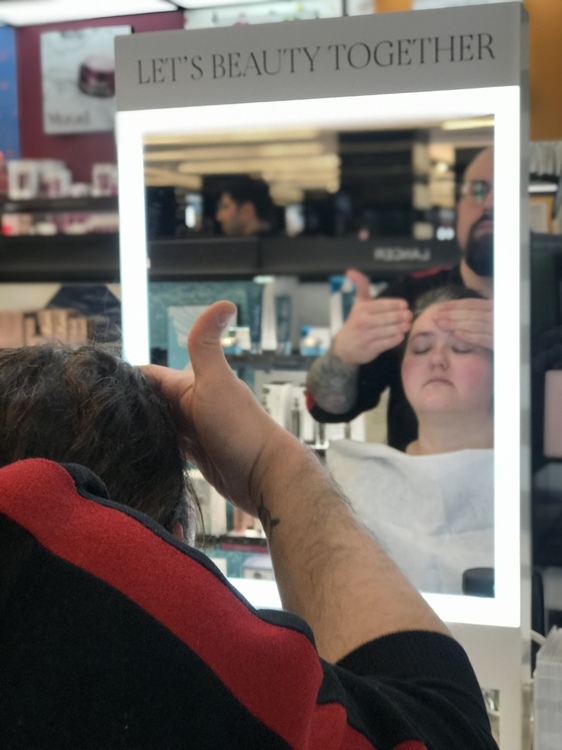 The Revitalizing Facial Powered by Perk is complimentary with $75 purchase – but it can be anything in the whole store, so if you’re need to grab makeup or haircare it counts. Since I knew I would be spending that much on new products already, I went decided to go for it. 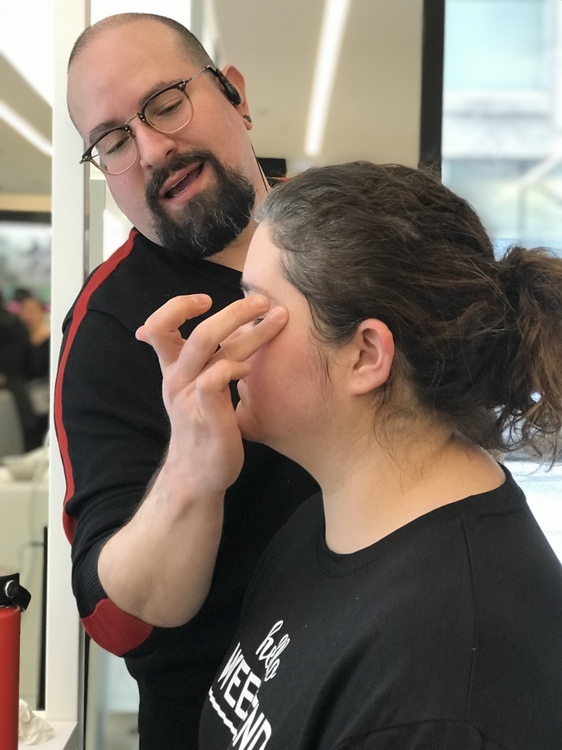 We started our my session with a consultation that allowed me to explain what I was looking for in my skin care, what products I liked, and any concerns or sensitivity I had. From there we decided that I would be a good fit for K-beauty line Belif and let me tell you, it was love at first sight! First step was to prep my skin for the facial by cleansing. Since dryness was my biggest concern, we went with the Belif Cleansing Gel Oil Enriched since it is a gentle cleanser designed to protect the skin while also locking in moisture. With olive and macadamia nut oils as ingredients this cleanser won’t strip away your skin’s natural oils. The pore purifying facial was amazing and left my skin feeling incredible! It exfoliates and hydrates which is exactly what my skin needed! The coolest thing is the innovative, pore-purifying technology which applies and simultaneously removes the two serums used that removes dead skin cells and excess oil. Once the facial was done, my face looked amazing. It was soft and hydrated, the complete opposite of my dry, cracked, and in some places bleeding skin before the facial. Even Tim commented on how improved my face looked! 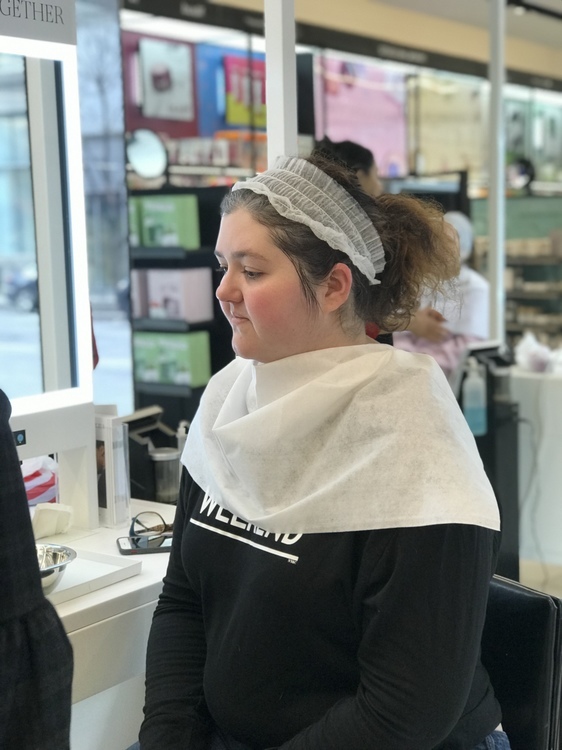 Post facial, we continued going over and applying the products that were selected for me. After toning was the Belif Peat Miracle Revital Serum Concentrate. Generally speaking I have avoided serums in the past. Unless I had a sunburn, they always left me feeling sticky and goopy in the Florida humidity. But in Chicago, well that is a different story! Here my skin is desperate for a serum I found out and this serum is up to the challenge. With 20 percent Peat extract and a potent blend of 80 different herbs, it helps reduce the signs of aging. This powerhouse in a bottle also helps support skin turnover which I am all about. Keep me looking young forever, please? 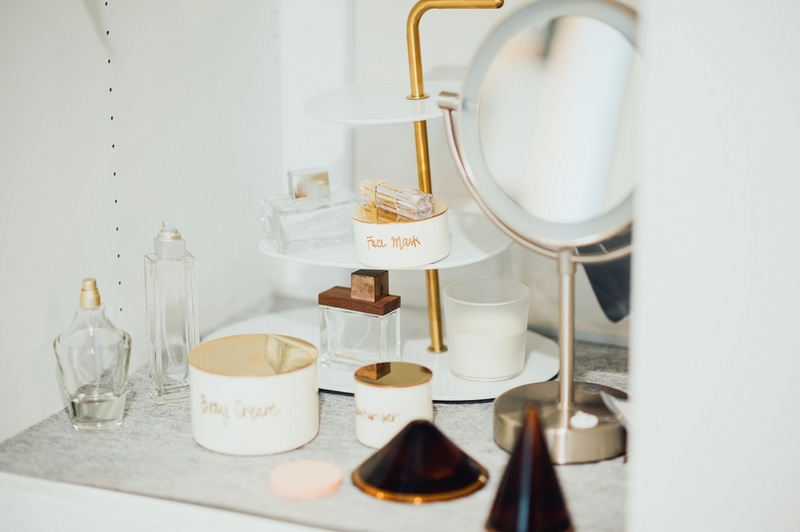 Our next product on my mission to happy healthy winter skin was what brought me into the store, to begin with- a moisturizer that could handle even the harshest of Chicago winter days. Since my commute puts me right in the wind, we figured that the Belif The True Cream Moisturizing Bomb would help combat some of the dryness I was experiencing from the wind since its been clinically tested to provide up to 26 hours of moisture! 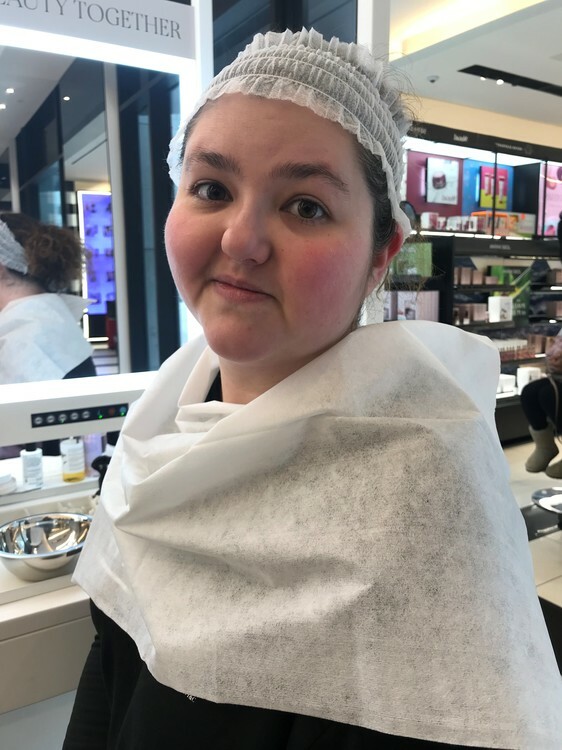 Every part of my facial was a wonderfully relaxing experience but my favorite part was when the Sephora employees told me I was too young to worry about eye cream. As they both joked that someone in their early twenties doesn’t need an eye cream, I couldn’t help but ask when one should worry about eye cream. They replied that in a few years when I was 27 or so. Since I am officially 30 as of last year, you betcha that I grabbed the Belif Moisturizing Eye Bomb before I left! It took no less than 20 seconds for me to notice a difference in my skin. I had come in dry and cracked, but my skin was visibly different. It was happy and healthy and glowing! Though I had come in with specific products in mind, I ended up purchasing everything we tried and a few other goodies that were suggested. Pro Tip: If you know you have to stock up on a few things and you’re total will be close to the $75 mark, go ahead and book a facial! You’re going to be spending the money anyway, so you might as well get pampered while you do it! One of the things that I needed to address were my dry lips. Having tried everything from coconut oil to chapstick, but nothing seemed to be making my lips better. I got the Fresh Sugar Wonder Drops Lip Primer and Fresh Sugar Lip Serum Advanced Therapy which I had read good reviews about on Influenster, a platform where people review products. I wanted to try a non-textured exfoliant since none can live up to my beloved Popcorn Lip Scrub from LUSH. With the Wonder Drops, the exfoliation isn’t achieved with scrubbing but rather with AHA’s and natural fruit acids that help eat away the dead skin cells. What is so awesome about this process is that many times my lips are too dry and cracked to scrub down. Instead of having to grit and bare it while I scrub away on sore lips, this process is a bit more gentle. And even when my lips have been deeply cracked, it doesn’t sting! I also got the Belif Aqua Bomb Sleeping Mask for added moisture. This jelly mask helps seal everything in for the night! I love that it isn’t overly goopy because the only goop I like is the Gwyneth Paltrow kind! It absorbs quickly but leave my skin feeling soft and hydrated come morning. 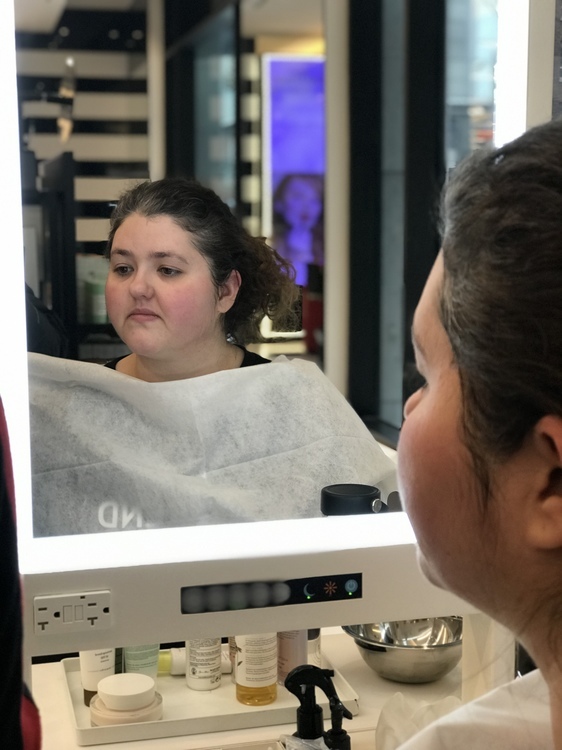 I loved being able to try out new products and see how they were on my skin. 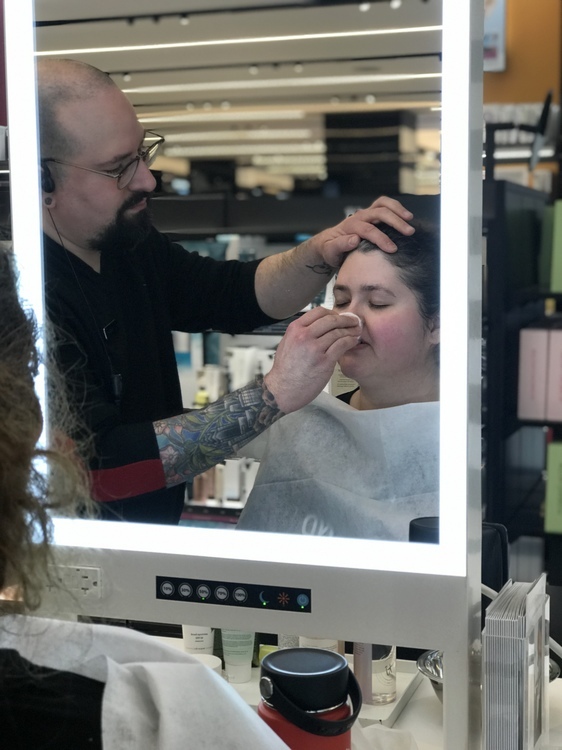 If you are wanting to try the Pore Perfecting facial, you can check here to see if your local Sephora offers it as a service. Does your local store offer it as a service or have you tried it before? I’d love to hear what you think in the comments!